Flip Out Mama: Flat Iron Experts Knows What Mom Needs! I think it's pretty easy to see, I blog mostly about stuff for the kids. But, occasionally, a product comes along that mommy just REALLY wants! This time that product came from Flat Iron Experts. They are a one stop online beauty shop specializing in some of the best professional styling products on the market today! I have some really nappy hair. I mean really. It's thick, it's frizzy, it's curly. It's yuck. I am always trying to straighten it to make it look a little better. I really worry about the damage I am doing to my hair using my cheap dollar store flat iron. I mean, sometimes you can smell it burning my hair!! That can't be good! So, when I got the opportunity to review Flat Iron Expert's #1 Flat Iron, I was totally up for the challenge! 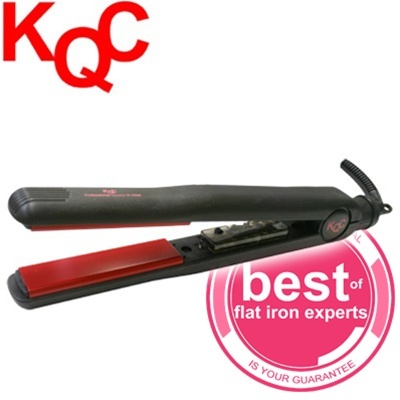 The KQC X-Heat Tourmaline Ceramic Flat Iron is one of the top selling flat irons of all times, and used by renowned stylists around the world! 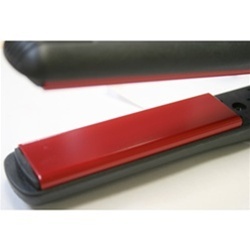 The plate is only one inch, so you can use it to straighten, flip, curl, or just tame frizz! I love how versatile this flat iron is! It is so quick to heat up! My old flat iron would take almost five minutes to heat up! 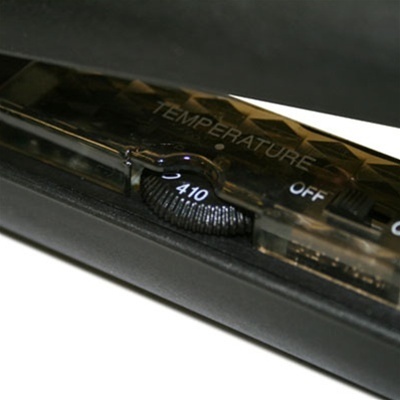 The KQC X-Heat heats to 410 degrees in less than 30 seconds! I also LOVE LOVE LOVE the ceramic heater! Flat Irons that use ceramic heaters help to preserve more moisture within your hair, eliminate frizz, and cause less damage to hair! I am so happy that I got to review this flat iron! I have used it almost every day since I got it,and I am super pleased with the results! I can tell a difference in both the look and feel of my hair! It is shinier, and looks much better! Thanks so much, Flat Iron Experts! The KQC X-Heat retails for $249.95, but you can buy it right now at Flat Iron Experts for only $159.95! Just click here to check it out along with their other awesome products!